Polyline Translations is specialised in technical translations, commercial translations, legal translations, financial translations, documents, medical-scientific texts and interpretation and voice over services. We provide professional translation services for both private and public companies, professional and legal firms, governmental and no-profit organisations at competitive prices. However, our agency can also provide Arabic, Turkish, Japanese, Hebrew, Chinese (Cantonese and Mandarin). We make use of a dynamic network of certified mother tongue translators of the target language who are all specialists in a specific field. All translators have high and excellent technical standard expertise. Our team provides a very accurate translation service since they know how to deal with the linguistic aspect of the final project. Once completed, each project undergoes a quality control procedure to ensure its accuracy in terms of content, syntax and terminology, thereby providing customer satisfaction. 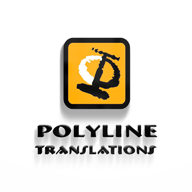 Polyline Translations focuses its attention on the context, and respects the culture of each single project in cooperation with its team of translators. In doing so, we provide a complete service with an excellent final product. L'esperienza mi ha poi insegnato che traduzione e compromesso sono sinonimi. Our “money back” guarantee ensures a full refund to the customer if he decides that the conditions of service provision have not been met: a 100% refund of the total sum. Polyline Translations offers this 100% guarantee to any customer placing an order, either with payment in advance or on delivery. We provide a full, guaranteed refund if the translation is not complete, is not correct in terms of syntax and grammar, or does not contain appropriate terminology. Any request for a refund must be accompanied by the original documents and the disputed translations, together with a detailed list and comments by the customer, citing every controversial issue in the translation. The guarantee is valid for 15 days from the date of service delivery. Refunds will be paid within 1 to 7 working days. We aim at meeting and satisfying the requirements of our customers, hence each translation is subject to a rigorous quality control procedure in order to guarantee excellent linguistic quality. 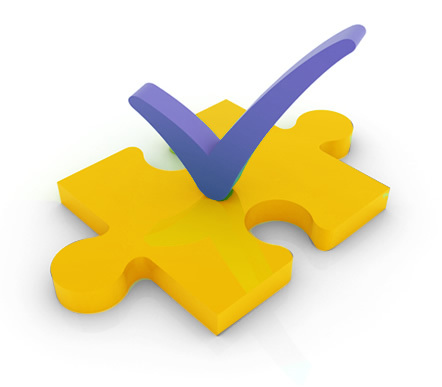 Each translation is analysed by a Project Manager, who is responsible for the quality of service. His/Her work also includes the “selection process” of the mother tongue translators based on their own specific competence . Once the project is translated, it is then reviewed by “mother tongue editor” to ensure the consistency in terms of content, syntax , terminology and style.